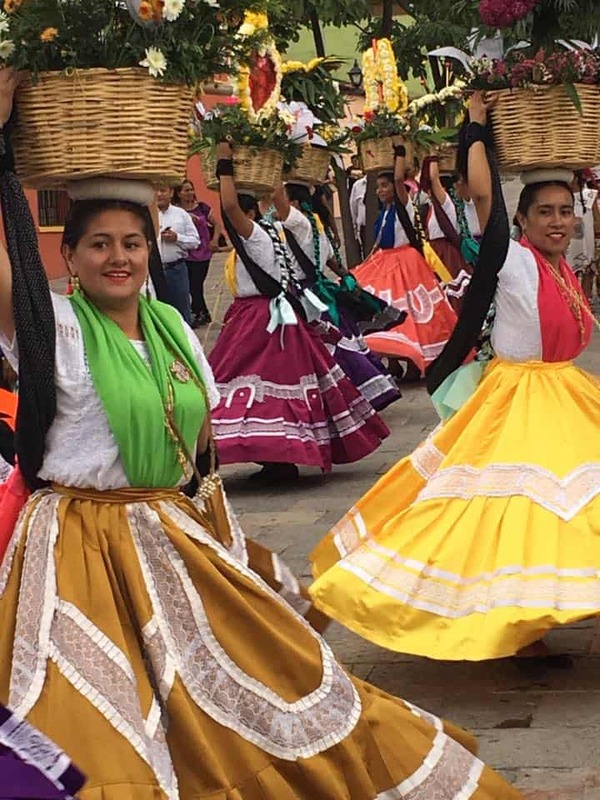 The colors of La Guelaguetza in full bloom. We arrived just as the morning sky was breaking open and the rain had stopped. There had been a torrential storm when we landed in Mexico City the night before, and despite having put in a four hour buffer to get through customs, get to the bus station, and grab something to eat before catching our midnight bus to Oaxaca, we barely made it. Rain has inundated Mexico City and created traffic havoc on an already traffic laden city. The downside of taking the overnight bus is missing the incredible landscape of the Mixteca. Instead, we slept, arriving semi refreshed and thankfully before the bloqueos began. Ah Oaxaca. I am traveling with my now 13 year old, who decided during our last trip here in December that he wanted to learn Spanish. That was a perfect pretexto to return over the summer, him for school, me for the opportunity to further my mezcal and cultural knowledge of this place. It is never ending and even after 14 years of time spent in Oaxaca, each visit reminds me that I have barely scratched the surface. In 2003, my first visit, Oaxaca had maybe 300,000 inhabitants, now, the metropolitan area includes more than 650,000. That is staggering, and each visit reveals the expanding city limits, the incredible traffic, and of course, an ever growing economic divide. Because it is July, it is Guelaguetza time, which means in the pueblos mezcal making ceases as the rains make production difficult, but more to the point, it is when fields must be planted with maiz, frijol, and of course even more so now, maguey. The city is filled with Mexican nationals, a nice break from the fall and winter months when it becomes overrun with tourists from the US and Canada, as well as Europeans. I was here at this time two years ago, working on a story about women in mezcal. I am happy to see that the role of women in the industry continues to grow, though certainly not at the same pace as the industry over all. My growing collection of mezcals from this trip. Someone else is usually driving. I don’t have to plan all the logistics. It’s a great way to see what is actually happening on the ground vs what we think happens from afar. 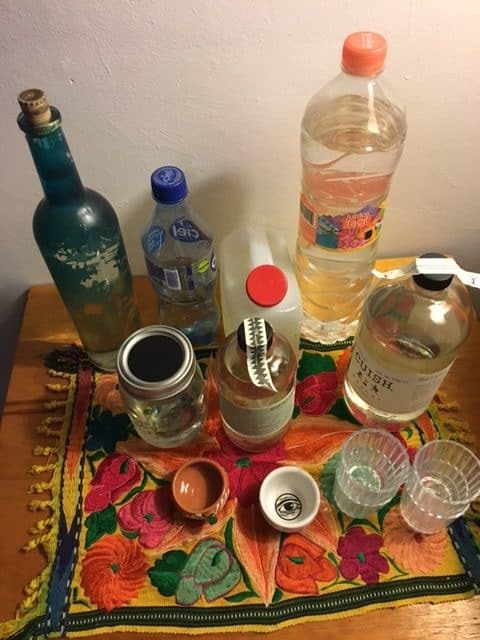 In conversations in the city, topics range from demand and volume and the impact on the industry, fair pricing, the destruction of wild agaves, and how Oaxaca can remain the leader in the mezcal industry. 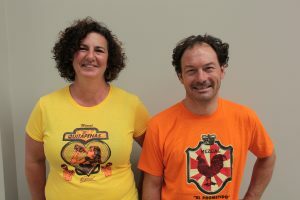 There is a looming crisis, which is to say that current demand (and growth projections for the next couple of years) will limit the industry’s ability in Oaxaca to match it with supply. Everyone is planting fields of agave, and so the long term forecast is strong. It is just a question of the intervening years. 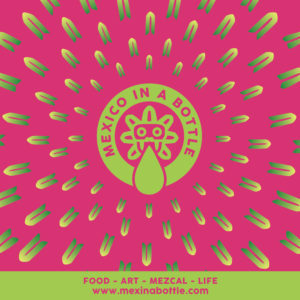 Other states aren’t looking at that situation — there is so much agave and mezcal in Michoacan, Guerrero, Puebla, and Durango that fill any shortfall. 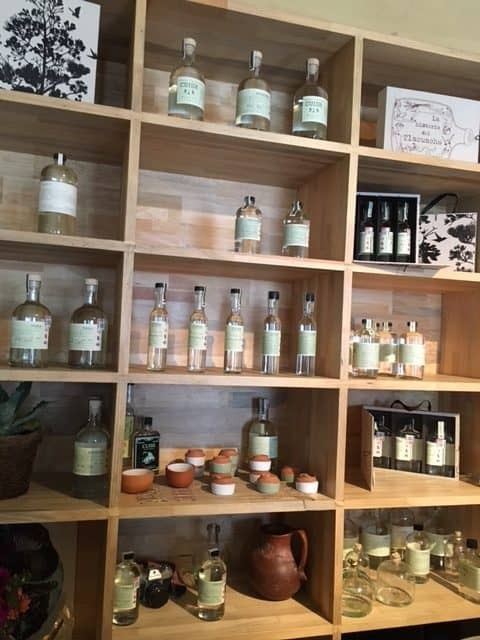 Puebla aside, the only issue with those other states is how to get the mezcal out given existing political instability. 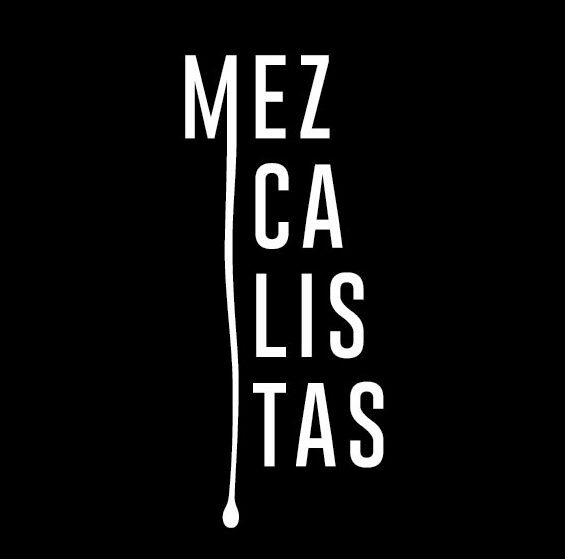 This does and should weigh heavily on the industry here in Oaxaca, and it is no coincidence that you now see major brands pushing outside Oaxaca and adding mezcals from those other states to their product lines. The state to watch is Puebla – it is already an agricultural powerhouse and as state coffers go, has a lot of money. There is industry in the state, a strong infrastructure, and political stability that could make it a powerful entity. A few things that have stuck out. 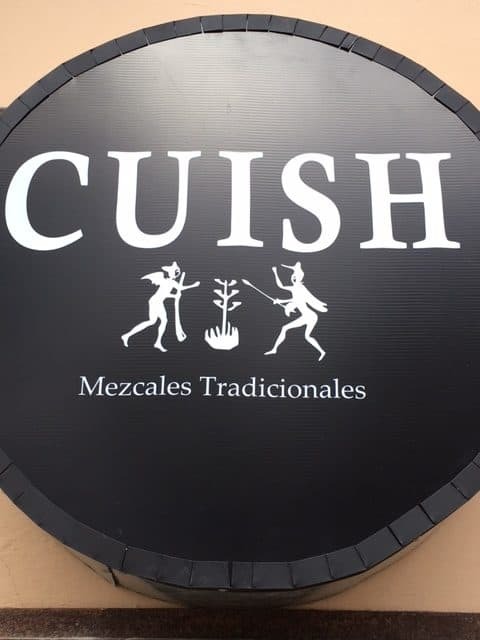 Mezcal Cuish has opened an expendio outpost in the centro, which is fantastic for any non-locals looking to buy bottles to take back to their homes. The flagship location, which recently underwent a big renovation, is off the beaten track for tourists, so the new place will better capture that ever growing market. Artisanal beer is everywhere, with more cervecerias opening. 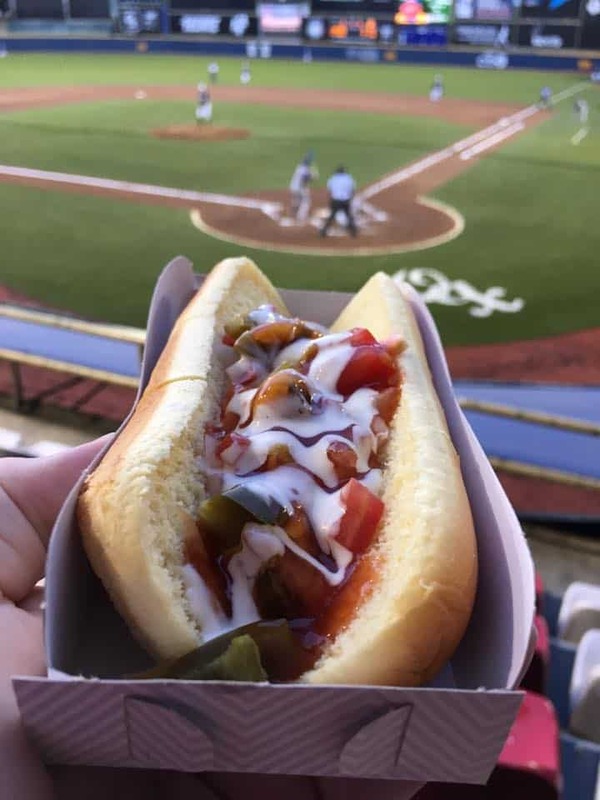 And it is the final days of beisbol season: Going to see the Oaxaca Guerreros play is hands down the least expensive form of entertainment and food I could ever hope for when traveling with a 13 year old kid. And yes, there are hot dogs and beer and even some organ music.